Yum, yum, yummy. Dave and I couldn't get enough of these. Partially because I split the batch and sent some to my Dad and brother, some to my Foodie Pen Pal and left just a few for us, which we finished promptly. I love the sweetness of the butterscotch and white chocolate chips paired with the nutty oatmeal. This is a soft cookie loaded with chips and lots of flavor. Plus I love the name--a combination of butterscotch and vanilla after the flavored chips included in the dough--so much fun! A twist on a traditional oatmeal cookies, these are so good, they might make it into the Christmas cookie rotation. 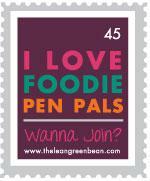 Yup, it's Foodie Pen Pal time again, and I was paired with two lovely ladies. First I sent a package out to Stephie of Eat Your Heart Out. She's a sweetheart and I swear we're like long lost sisters. Be sure to check out her blog to see what I sent her, besides these cookies. And I received a package from Summer, a Las Vegas native and devoted food blog reader. She sent me some local Las Vegas treats, including barbeque sauce, a champagne mustard (can't wait to try that on grilled chicken) and these lovely dark chocolate chip cookies from Heaven's Cookies. These were delicious (and finished more quickly than I care to admit) and I loved the story behind this Las Vegas-based cookie company. Since Dave and I foster rescue dogs until they find their permanent home, I loved that these cookies were inspired by a desire to stop puppy mills and raise awareness about animal cruely, with a portion of the proceeds going to animal charities. Aren't these cute? This isn't really a real post, but I wanted to share this twist on serving watermelon. These would be adorable if you have kids and watermelon at your Fourth of July cook out. Simple and festive, make these in whatever shape you like to keep with your festive theme. I particularly likes the stars, but this flamingo turned out quite adorable, too. I saw this trick on Pinterest and immediately thought of my cookie cutter collection. Which ones would be the best option? I really wanted to make the Mickey ears, but waited too long and ran out of watermelon slices big enough. The star, moon, heart, butterfly and flamingo turned out perfect. The cupcake cutter worked too, but it looked like a house without any decoration for cupcake context. One of those foods that just screams summer and amusement parks, corn dogs are just plain fun. Deep fried with a sweet corn coating, it's just one of those treats many people have to have each year. I am not one of those people, but when I saw this recipe, I knew it was something I had to try. We took these to a cook out at my aunt and uncle's house and everyone loved them. Bite-sized, baked and just a little sweet taste reminiscent of the traditional on-a-stick version these will be sure to please a crowd for your Fourth of July gathering or other fun summer get-together. Originally I saw this treat pinned on Pinterest, but I wasn't in love with the actual recipe. So I adapted it, using my favorite corn muffin recipe from Jean Childress' Country Kitchen Muffin Cookbook as my guide and turning them into mini muffins rather than full-size. Besides traditionally being deep fried, the batter on a corn dog is usually pretty sweet (one of the reasons I'm not a huge fan). Depending on how sweet you like the batter, you may choose to increase the amount of sugar in the recipe, but I thought this amount was good. Either way, these will be a hit if you serve them with mustard, ketchup and relish for dipping and enjoying. Bacon makes everything better, right? Exactly. And in this recipe, it even makes a run of the mill slaw better. Crunchy broccoli slaw with a lightly creamy ranch dressing speckled with bacon bits for a twist on traditional slaw. Plus, it's not bad for you! I don't normally do nutrition stats, but this stuff comes in at only 71 calories per serving, a third of which comes from the veggies, so I just had to share! I make this to take for lunch for a little extra crunch and additional serving of veggies, but it would be a great accompaniment for a summer barbeque buffet. This recipe is a Hungry Girl concoction from Lisa Lillien's Hungry Girl 1-2-3. I love Lisa's dedication to healthy recipes made quickly from easy ingredients that are super tasty. I don't change a thing to this recipe, as easy as it would be to add more bacon! But really there's plenty of bacon flavor, coupled with a quick ranch dressing, really transforms the crunchy broccoli slaw into something different. A great, light summer side dish that's tasty and healthy. One taste and it will definitely be an addition to your cookouts this summer. Wow. I've never actually posted a recipe for chocolate chip cookies. It kind of makes me feel like a fraud of a food blogger. I mean, I did post my M&M Cookies which were adapted from my favorite chocolate chip cookie recipe, but I've never done a traditional chocolate chip recipe. But these were definitely worth the wait. Chewy cookies with a perfectly golden shell that gently crack and break to reveal the chewy cookie insides and speckled with chocolate chips throughout. These are the epitome of chocolate chip cookies. If you are a fan of the chewy version, this is a recipe you must try. Thumbing through my King Aurthur Cookie Companion Cookbook, I found the Essential Chewy Chocolate Chip Cookie recipe and thought this was exactly the kind of comfort cookie I needed. Some were going to be for sharing, but the leftovers would go in the cookie jar and I wanted something simple and delicious. This recipe did not let me down. Easy to make, simple ingredients and ending in a lovely, delicious and chewy cookie, I know I'll be making these again and again. This was one of those breads when as soon as I saw the recipe, I knew I needed to make it and I couldn't quite explain why. Maybe it was the novel concept of turning and English muffin into a whole loaf of bread. And wondering if it would still have nooks and crannies for all the yummy goodness I'd put on top. So I made this loaf. And then sent it to my Grandma for her birthday with some jars of jam. She's a huge fan of bread and jam, and even though I hadn't yet tasted this, I knew she'd love it (she did). But I couldn't very well post a recipe for you without having tried it. so I finally got a chance to make this again and again I was impressed with the simplicity of the recipe. Better still, these slices really do taste like an English muffin. Airy and chewy, I enjoyed some slices lightly toasted with blueberry jam that made its way into the nooks, as well as stuffed full of sandwich fixin's. Michelle at Brown Eyed Baker really knows how to come up with a fun recipe that blurs the lines between traditional standards and new twists. I appreciated that the bread pan is dusted with cornmeal to give you that extra touch from an English muffin. Plus, this recipe is easy with or without a stand mixer. I used a stand mixer the first time I made this, but then just used a bowl and whisk the second time around. Both turned out very well, with the doughs being soft and easy to incorporate all the ingredients. I'm excited to keep this bread in my rotation. It's great for sandwiches or a quick slice for breakfast. But I also think it might make a nice french toast too. Or adapt it to a cinnamon raisin version by swapping brown sugar for the sugar, adding cinnamon and mixing in raisins. I love a recipe with options! This is my mom's recipe. And I'm still kind of shocked that I replicated it exactly enough to spark up memories of my mom elbow deep in a big vat of this potato salad because "it's just easier to use your hands" to mix this stuff. My mom was a pretty decent cook. She didn't go over the top (she was far more interested in fun and family than spending all day in the kitchen), but she had a small arsenal of recipes that were just damn good. Most of which she rarely wrote down or even followed the same recipe twice. But she got this potato salad down pat and for family picnics or community gatherings, it was one of the dishes she made every time. It's got a perfect seasoning, a good ratio of chopped veggies to eggs and potatoes to dressing. And let's talk about that dressing. It's not heavy and you could certainly use a light version of Miracle Whip without sacrificing any flavor or consistency. Yes, I said Miracle Whip. It's a must--the fact that it tastes different from regular mayonnaise is exactly what sets this recipe apart from other potato salads. And again, you're getting a lot of the creaminess here from the eggs after mixing. It's really not a huge amount of dressing compared to the rest of the ingredients, and you can actually distinctly taste each flavor rather than using the potatoes as a delivery vehicle for mayo. Twelve years ago Mom, as a board member of a community organization, was asked to put together a fundraiser in the form of a community cookbook. Mom compiled lots of recipes from the neighborhood and she and I both included some of our favorite, most-asked-for options. Just before Memorial Day I got a little down thinking that I never got Mom's potato salad recipe. On a whim, I checked out my copy of A Taste of Greater Hazelwood and couldn't believe it. The same recipe that my mother never measured anything for was the first one listed under the "Soups, Salads and Sauces" section. It was worth a shot, but I was convinced it wouldn't taste the same since Mom never measured. But it's spot on. I smiled and almost cried when I tasted, eager to get Dave's opinion ("That's the stuff, all right!") and looking forward to sharing it at future family gatherings. You can double this recipe, no problem. In fact, you could probably triple or quadruple it, but you'll need a really big bowl to do the mixing. When Mom had to make more than a double batch, she would make two double batches just to make it easier to mix. Whatever quantity you go with, I hope you enjoy this recipe as much as my family has. Again with the bananas. But bananas are super versatile and clearly want to be turned into delicious desserts and lovely baked goods or else they wouldn't turn overripe so quickly. So I'm actually doing the bananas a favor. And these bars are yet another example of how to make a delicious treat with what you have on hand. Perfect. Moist with a pleasant banana flavor and a hint of cinnamon, the cakey bars are a nice treat. Topped with a bit of cinnamon cream cheese frosting and this is the perfect match for a cup of coffee at a morning meeting--or at least that's what I understand from my coworkers. I brought a few leftovers home and then Cindy came over. She finished the last two and didn't even realize she'd polished off the second one since they are so light and yummy. Another recipe from Jaclyn at Cookin' Classy, I really like how she incorporated the lower fat alternatives of sour cream and applesauce instead of just butter or oil. These small changes still allowed for a light and fluffy cake without sacrificing any flavor. While I didn't use Jaclyn's cream cheese frosting recipe (I had some leftover frosting in the fridge from another recipe and just added some cinnamon to it), I've included it below for your benefit. Alternatively, you could probably skip the frosting and do a cinnamon sugar streusel with the nuts mixed it. Either way, you're in for a lovely alternatively to banana bread. Instead of pecans, I used walnuts, which were classically delicious with the banana flavored bars. Also, I added a bit of cinnamon to the batter because it's such a great pairing and I don't think it overwhelmed the bars when topped with the frosting. I did cut my bars into 24, because I thought 12 would make bars that were just too big. I like to offer small tastes that you can go back for seconds rather than just one big serving, but do what comes naturally to you, because it will still be tasty. I wanted to make coffee cake for this meeting, but I wasn't really excited about any of the recipes I had on hand. 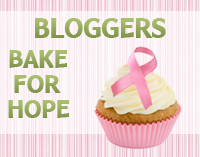 So to the interwebs I went, starting with some of my favorite foodie blogs. I knew I wouldn't be disappointed with anything from Maria and Josh at Two Peas and Their Pod. Clearly, neither were my coworkers. The cake baked up light and fluffy with addition of sour cream and I'm big fan of spreading the streusel-y topping around, so I like the idea of putting part of it in the middle and the rest on top. Plus chocolate chips and cinnamon sugar is a hugely wonderful combination. Totally delicious. I've got to make this again real soon--I only got a piece and Dave didn't get any! Consider this my adventure in Indian cooking. Or at the very least inspired by. The are sort of like potato pancakes, with a twist and some serious heat (that can be adjusted to your liking). They are made a little differently, but you could also think of these as a spicy latke, with a creamy mashed potato core rather than shredded. The mashed sweet potatoes are paired with onion, jalapeno and cilantro, then seasoned with cayenne pepper, cumin and salt before getting a bit of bread crumbs to help bind them. Finally they are fried to crispy and a served warm. It's Secret Recipe Club reveal day again so I took the opportunity of being matched with Trisha from My Hobbie Lobbie to explore some of her Indian dishes. Trisha is a baker who makes beautiful cakes and other treats, but also shares a wide variety of traditional Indian foods, including breads and even a whole series of street food. I've actually only had Indian food once, it's just not something I've been exposed to a whole lot. So while it would have been easy to just make her Chocolate Chip Banana Bread Scones or Coconut Macaroons, I decided to live in the spirit of Secret Recipe Club and think outside of the box, pushing my normal boundaries. So I swore off any of the baked items and instead went for one of the more traditional recipes. I considered Trisha's Chicken Empanadas, Homemade Samosas and Chicken Frankie, but when I set my mind too it, I really wanted to try this twist on potatoes since I love them any way I can get them. I adjusted Trisha's recipe by substituting sweet potatoes and adjusting the amount of onion to a bit less. I seeded my jalapeno and didn't include the chat masala since this isn't a spice I keep on hand. I used 2 Tablespoons of breadcrumbs, but I would suggest adding more, maybe bring it to 1/4 cup, because the patties kept falling apart on my in the oil. Also, make sure your oil is very hot so you can fry these quickly. If you can fry something fast, it will get crisp without absorbing too much oil. Be sure to check out the rest of the posts from today's reveal by visiting the blog hop below! Rice Krispies Treats are a perfect summer weather dessert because they're no-bake (no oven heating-yay! ), quick and deliciously simple. Plus you know how I love to make them different flavors. I found myself with a bag of peanut M&Ms and immediately knew I wanted to turn them into dessert. These treats are laced with peanut butter in the marshmallow and studded with the crunch of peanut M&Ms and roasted peanuts. I love how the color of M&M's makes the treats a bit more festive and fun, and just pops off the creamy color of the Rice Krispies. These are a great treat for a subtle peanut butter and chocolate combo--just a hint of chocolate cuts into the peanut butter and peanuts to offer an extra flavor in these gooey treats. Adjusting the traditional recipe is pretty easy, so I don't have a source for this version (is that enough to make it original? I say, yes!). If you like the idea of a peanut butter flavored treat, but would prefer to not have actual peanuts in the mix, remove the peanuts, swap out and increase the amount of any other M&M, such as plain or even the peanut butter ones (double the peanut butter, double the fun). And if you want to put your fancy pants on, color coordinate these with your event using the various holiday M&Ms. Lovely, easy and delicious--just like summer should be. These are positively fantastic. A creamy cheesecake filling with a subtle hint of cake batter flavor, dotted with sprinkles, which have be well-documented to induce happiness, atop a crunchy vanilla crust. Yum, that all amounts to delicious. I took these to a cook-out, which happened to turn into a birthday party, so they were very appropriate. And tasty. My uncle was tickled and couldn't get enough of them. I love the creaminess of the filling--honestly, I don't think you can beat cheesecake filling too much. And Dave liked them because they tasted like cake (he's really so easy). These are a wonderful treat for a cook-out or a party. And a nice way to have some cheesecake during the summer because the bars are a bit smaller, so not as heavy as diving into a full piece of cheesecake. While on Pinterest I found this recipe through a friend and immediately pinned it--I mean, it's got sprinkles and tastes like cake, so yeah I needed to make it. When I got to the recipe, I was impressed with Erika, the young lady behind Teenage Taste who posted this recipe and had lovely photos and a nice write up to go with it. Because I wanted a larger pan of bars (9 x 13 inch), I upped the quantity of vanilla cookies for the crust and a little more butter, but I left the filling the same (well, a few more sprinkles, but minus the food coloring). I'm glad I didn't mess with the filling because these were a thick bar--I can't imagine how tall they would have been baked in a 9 x 9 inch pan! I also didn't use a water bath, in part because I didn't have a pan big enough to fit my 9 x 13 and because the last time I made actual cheesecake, I didn't use one and had success. I can't really complain about not using one this time. I did get a slight crack in the middle, but since I was cutting them into bars, I really didn't care. But, I also don't make cheesecake a lot, so if you do and you have a method, by all means, do what works for you and makes you comfortable because you definitely need these bars in your life. These are a pretty awesome peanut butter cookie. First, they are ridiculously easy. And second, they are delicious. Not to mention they are pretty versatile. Besides being a tasty cookie just to eat, can you imagine crushing these up for a peanut butter crust for a cheesecake? The crispy texture just lends itself to that kind of delicious treat. Or, put a big scoop of vanilla ice cream right in the middle and bam--you've got a peanut butter ice cream sandwich. Yum! A crispy cookie packed with peanut butter flavor that would be just perfect included with a myriad of other tasty treats. Yeah, I think I like cookie that's not afraid to step out of the jar and work in a new environment. Flipping through my King Arthur Flour Cookie Companion Cookbook, searching for a couple of new cookie recipes to make as a thank you gift for another department at work, I saw these in The Essentials pages, following the standard peanut butter cookies. The list of only four ingredients coupled with the lack of flour had me intrigued. And how could I not try a recipe so easy? Honestly it took longer to preheat the oven than it did for me to mix the dough and scoop it out on to the pans. I did stagger my dough balls to fit more on the pan and flatten them a bit before baking. There was nothing to change or alter--it's a perfect recipe resulting in a crispy, snappy cookie full of peanut butter goodness.